We all want healthy and flawless skin. Our skin routines can help us keep our skin blemish-free and looking youthful. But you could also be causing your skin harm. While we work hard to care for our skin, there are many things that you could be doing that is not good for your skin. There are several common bad habits that will leave your skin looking not so perfect and flawless. If you have trouble with your skin, it may not be your skin that is the problem, it might be you. There are many things you should avoid doing to your skin, while it may be hard to stop some of these habits, it can help you improve your skin and reduce future issues once and for all! Our skin care experts at Azeal Dermatology Institute in Boulder, want to help you learn how to properly care for your skin and what you need to avoid doing to keep your skin healthy. In this blog, we are going to talk about some of the worst things you can do to your skin and how to avoid them. Read on to learn more! Most of you hopefully know that picking at your face will cause problems. Picking and popping blemishes can lead to a spread of bacteria, which can leave you with infections, scarring, and worsening of blemishes. Scarring and discolorations can be permanent damage to your skin, which all started from picking. As tempting as it may be to pick at blemishes on your face, doing so is horrible for your skin and will make the blemishes worse. Instead of picking, use a spot treatment and try to avoid touching your face. Your blemishes will vanish a lot faster if you don’t touch them! The seasonal changes in Colorado are drastic, which means that your skin-care products should also change. When you use the same skin care products throughout the entire year, you will not be targeting your skin’s needs the best you can. While this may not be as damaging to your skin as some other habits, it certainly won’t leave your skin stay flawless throughout the entire year. Winter products: Winters in Colorado are dry and can leave your skin drier than normal. This means that your products should be focused on hydrating and moisturizing. Your skin will look better if you swap your regular products for hydrating products during these colder and drier months. Spring products: Spring is the perfect time to revive your skin after the winter months. Your products during the spring should be exfoliating and deep cleaning. Use light-weight products since the air begins to be more humid during this time. Summer products: During the sunny months, you should focus on protecting your skin. Find products that include sun protection and possibly antioxidants. Your products should be light-weight since the air contains more humidity. 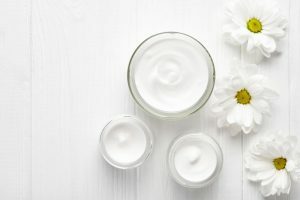 Fall products: Like the spring products, your fall skin care products should be exfoliating to repair it from any damage done by the summer sun. By using different products throughout the year, you will be able to cater to your current skin needs and keep it as healthy and beautiful as possible. Sleep is important for your health in many ways, but did you know that it can also help your skin. While you are sleeping, your skin repairs itself. During this repair process, more collagen is produced, circulation is improved, and under-eye puffiness is reduced. While getting enough sleep should be on the top of your self-care list already, knowing that beauty sleep is a real thing will hopefully help you make it a priority. Without an adequate amount of sleep, your skin will produce more cortisol and less growth hormone, which will leave your skin more prone to wrinkles and less able to repair at night. Make sure you get enough beauty sleep each night, not only for your mental and physical health, but also for your skin! Wait! Before you hit the hay, be sure to clean your face and remove your makeup! While sleeping is important, sleeping in makeup is another bad habit that can damage your skin. When you fail to wash your face before heading to bed, you are leaving dirt, oil, pollutants, and makeup on your face. This leads to clogged pores, more breakouts, irritation, and many other problems. But you also want to make sure you are cleaning your face properly before bed. While wiping off your makeup with a makeup wipe is a good first step, you will also want to cleanse your face with a product that works for your skin. This will help remove any makeup left behind as well as the other pollutants your skin gathered throughout the day. We know what you are thinking and yes, we did just tell you to wash your face every night and never skip this step. But cleansing too much is also a no-no? Yes — cleaning too much can actually be worse for your skin. While it may be tempting to clean your skin more often than not, especially if you have oily and acne prone skin, this can actually be more harmful. Cleansing your skin too often will dry out your skin, which will cause it to produce more sebum, which will lead to more breakouts. If you clean more than twice a day, you need to cut back and let your skin thrive on its natural oils. Like sleep, drinking enough water and staying hydrated is important for your overall health, including your skin! Your body works better when you are properly hydrated and since your skin is an organ, water has the same effect on it. If you stay hydrated and drink enough water daily, your skin will likely stay looking great! While everyone’s skin is different, drinking enough water will help improve the appearance of all skin types. If you are looking for one simple way to keep your skin as healthy and flawless as possible, drink more water! This time we are talking about a different kind of drink. While we all enjoy having an alcoholic drink from time to time, drinking too much alcohol can have a negative effect on your skin. Alcohol is a diuretic, which means that every sip you take, you are drying your skin out, which is not a good thing. Drinking an excessive amount of alcohol can lead to signs of premature aging, including fine lines and wrinkles. It can also leave your complexion dull or pale. Alcohol is also an inflammatory substance, which can cause your skin to become more droopy or prone to blemishes, since the liver is working hard to remove toxins from your body rather than help your skin. While it is fine to enjoy a drink with friends from time to time, drinking excessively and regularly is not good for your skin, or your overall health. These are only a few of the many bad habits that can harm your skin. Others include scrubbing your face too roughly, tanning, not using sunscreen, smoking, taking too hot of showers, and neglecting your skin. If you have yet to notice, living a healthy lifestyle is a great way to keep your skin healthy too! Now that you know some of the worst things you can do to your skin, hopefully, you know how to better care for it! If you need help caring for your skin or treating different skin issues, be sure to schedule an appointment at Azeal Dermatology Institute in Boulder. We offer a variety of services that can help improve the health of your skin!